In an earlier blog we talked about the devastating drought that has affected all of Central America, including Belize. Well, the peak of the rainy season, Sept/Oct, has changed everything. This last week a slow moving tropical storm swept across Belize, creating torrential rains in the northern part of the country. 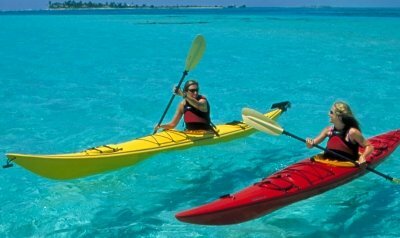 It rained between 10″ and 23″ in various parts of the country, a huge total even for a tropical country like Belize. The storm was carefully watched as these kinds of disturbances often develop into hurricanes, but this storm simply dumped rain and did not further intensify. 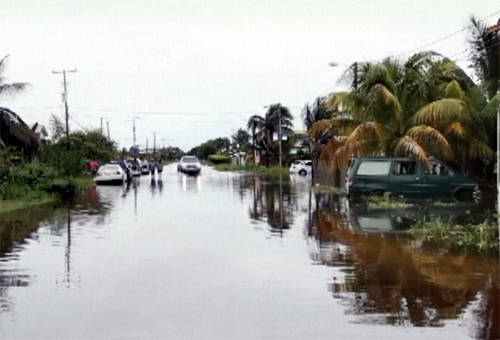 Belize City was virtually shut down by the rains, which flooded large parts of the city. An extensive drain system is in place all over the city employing a canal system to channel water out to sea, but it was overwhelmed by the amount of rain that fell. All schools, most transportation systems, and a large area of electric power were all shut down for 3 days. Many old houses collapsed in the poorer neighborhoods, where residents commonly live in old wooden dwellings that slowly rot away over time until they simply fall over (wooden houses are commonly set up on posts to avoid flooding). There is a good reason we are closed during this time of year!